My friend Clarence recently acquired this very cool truck… which I actually found on facebook ads. It was ready to roll right from the gitgo has a few minor issues but has taken us around Little Mountain a few times now. Working on the ahooogah horn…amazing that you can get new brushes for that right online. 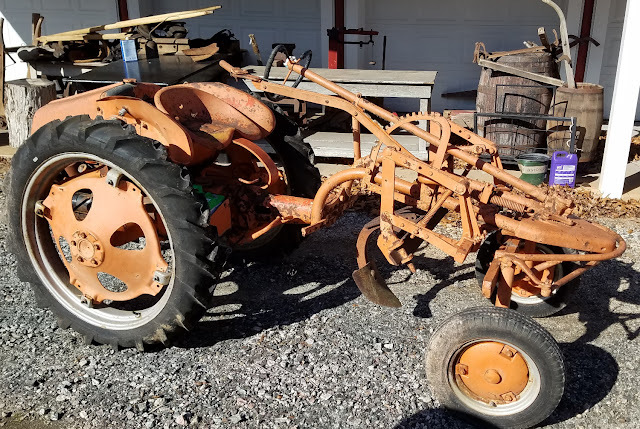 Didn’t need brushes though… it has an ungrounded motor inside and requires two leads to make it work… it was missing one but still had the original connectors inside… quite amazing. Planning to build a picnic shed by the pond on Clarence's place... I found this pic online and think we're going to do something along this line in the near future. 2018 has been a bit hectic... and my blog a bit neglected... I'm going to end 2018 about the same way I started this year with a return to the handyman proa. It been taking up space in a shop that belongs to my good friend Clarence Gibbs. The shop now has heat and air and a pretty good start on the tools needed to become the center of handyman festivities. I need to make a call on the proa project to either get it on the water or get it out of the way and move on to something else. I'm moving my home automation related posts to Electrick Handyman. I recently discovered upython that can be installed on ESP 32 and the 8266. I also finally broke down and got a Raspberry Pi... it's a full blown computer on a card with a linux variant operating system and it can run a program called Node-Red which is a cool tool for allowing the ESP 32 and other devices to communicate with each other using the mosquito or msqtt protocol. 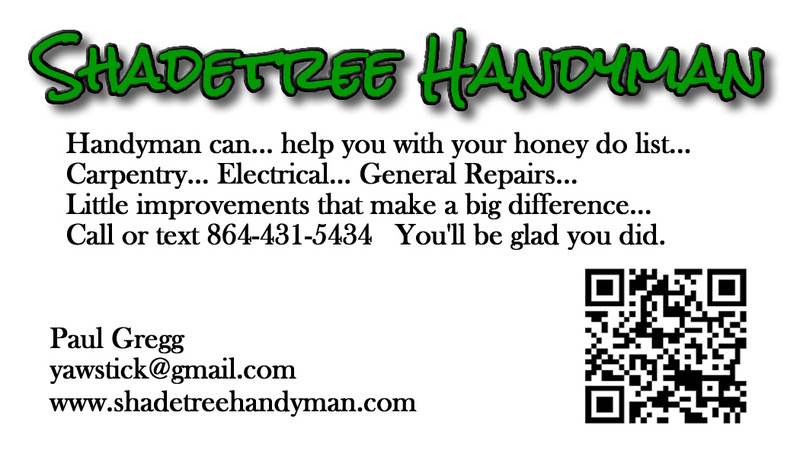 I will be posting updates on that undertaking on Electrick Handyman as well. I spent the last couple of weeks getting up to speed on some of the home automation tools that are available off the shelf and home brew versions as well. 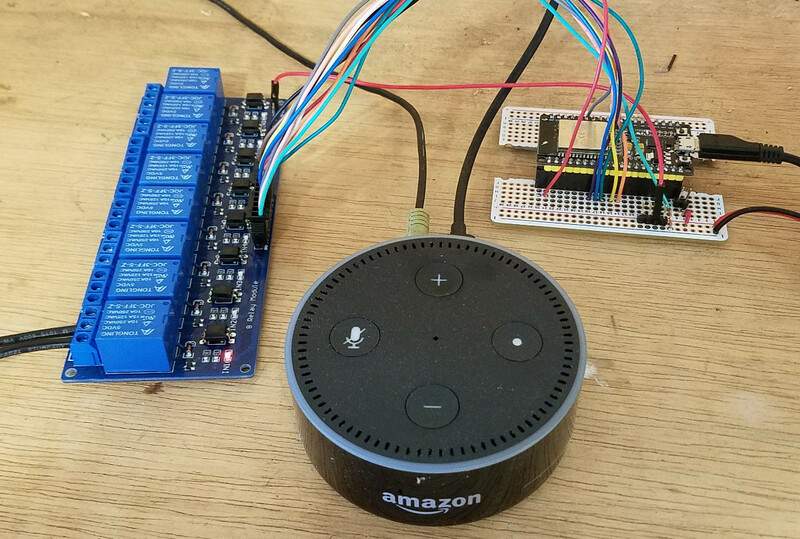 Many of the components can be used with the Alexa and similar devices. I picked up a couple of the Echo Dot 2nd generation devices and have some of the remote control devices that work with it on the way. I can see where this thing might be a bit addictive as well as being capable of some pretty sophisticated uses. 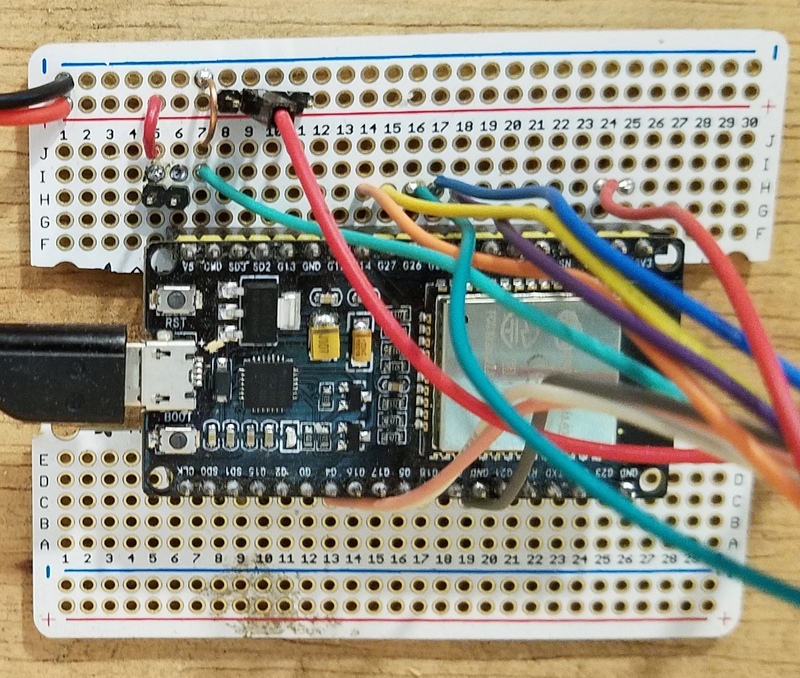 I picked up one of these ESP32 boards and it's what got me on the home automation bandwagon. 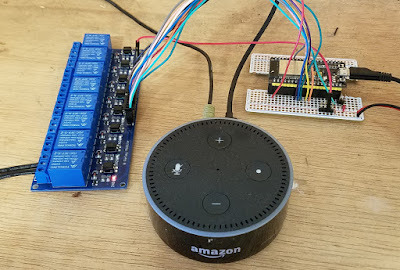 I didn't really know much about it when I bought it but in researching some of its capabilities I learned that it and its predecessor the ESP8266 can be used as a remote device to be controlled by an Alexa. The 32 board is still pretty bleeding edge but has a ton of capability. It has both WiFi and Bluetooth connectivity and a great deal of information about them is available on the web. 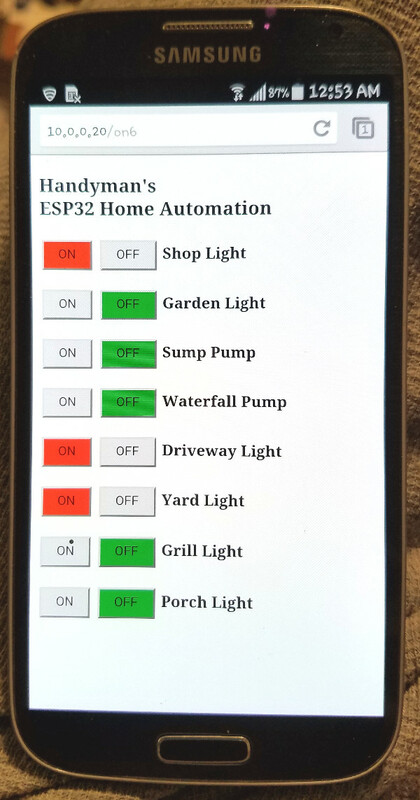 It was a fairly easy undertaking to set up the ESP32 device as a webserver on my home wifi network that can control via a web page... 8 relays that can control lights or other low current devices. 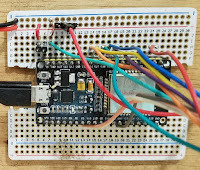 Control by Alexa is not so well supported on the ESP32 but there are many examples using the ESP8266. I have a couple of them on the way. 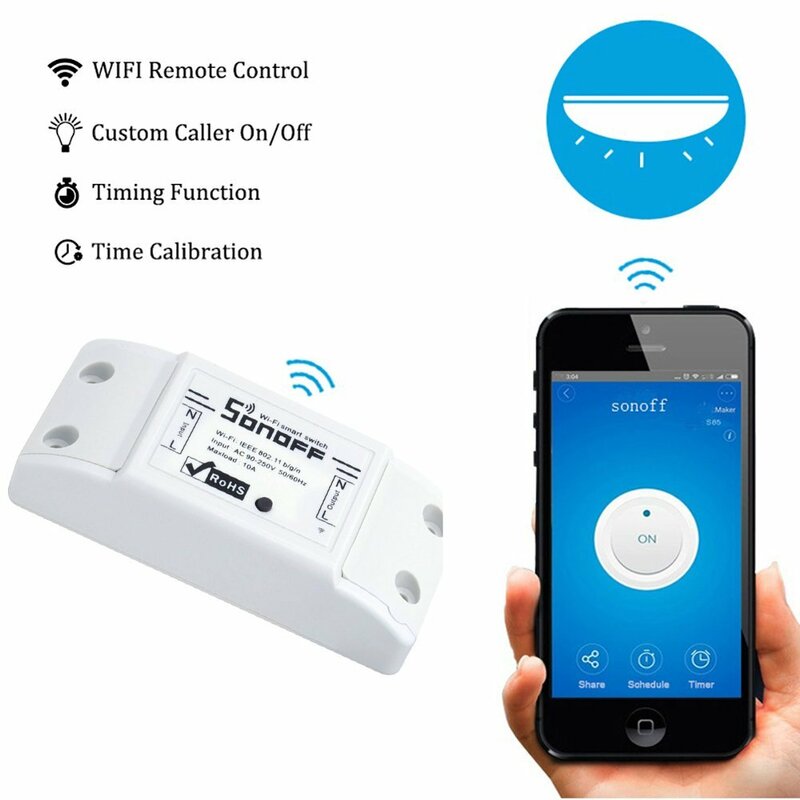 I also have some Sonoff devices on the way as well that work with the Alexa or with a phone app right off the shelf. I will be posting more on this undertaking as these parts arrive and get put online. Time flies when you are having fun. 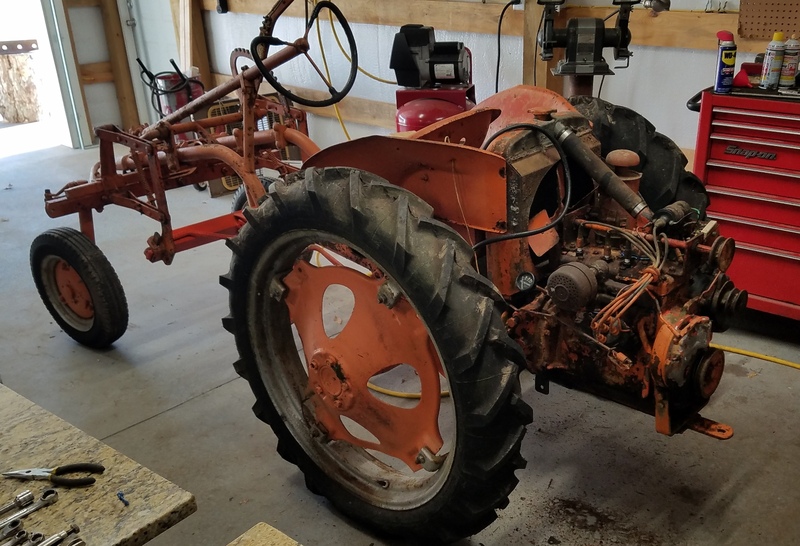 Close to having the old G Model Allis Chalmers ready to go.These are funky rear engine tractors from the late forties. Designed as a cultivator to plow between the rows of plants... you could look down between your legs and see it at work. the block looks a bit like a 4 cylinder Briggs and Stratton with the valves in the block. 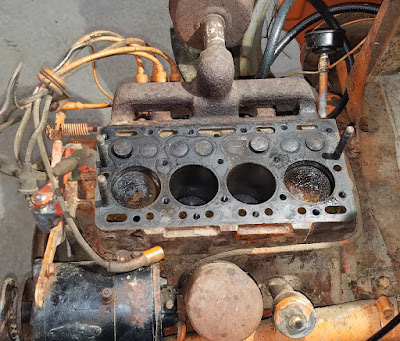 Got the head back on yesterday and tried it with a little starting fluid just to see if it would fire. Put a new gas line on it and it fired right up... purred like a kitten. I've not done very much posting here this past year... I'm hoping to step up my game a little... reconnected with an old friend of mine who wants to get a 29 model A Ford peach flat back into running condition. He's pretty serious about it and has even had heat and air installed in the shop where we will be working on it. Its a very nice place with a great view of Glassy Mountain. 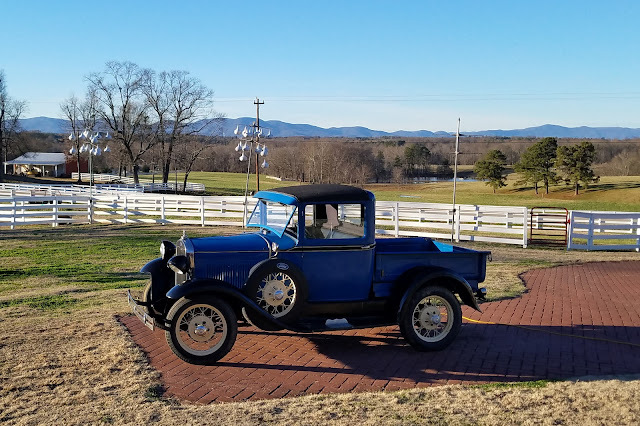 A lot of folks learned to drive in one of these things back in the day. 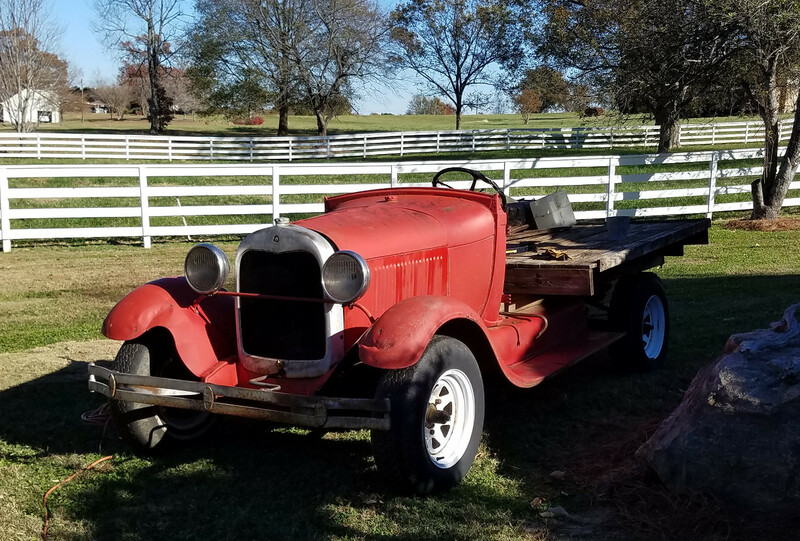 Its a custom flat bed that was used to haul peaches out of the orchard back when peaches were a big deal in Upstate South Carolina. I don't think it needs a whole lot ... you sit on the wooden flat bed to drive. As if I needed another reminder of just how old I'm getting... caught a late night wave surfing the net with no particular destination in mind. David Cassidy has passed away... Star Trek TNG turned 30 years old in 2017... Dale Earnhardt Jr rode into the history books.. I was never a big fan of Jr... more of a Tony Stewart guy... Danica went down in flames too... only 1 top ten finish this year... She's a cutie but seem to wreck in every race I watched... which was only a couple. Nascar... like the NFL... just aint what it used to be or maybe I'm just getting old too. The days of Richard Petty and and David Pearson just a faded memory... just like watching them on regular TV. A new broadcast standard set to replace the current one which I had some hand in... working at WSPA when they switched over to HD TV 20 years ago now. There is new standard set to make existing TV's obsolete. WSPA is a shadow of its former self... it changed hands while I was there and has done so several times since... and now seems to make its living showing old reruns of Andy Griffith. They still dont have an HD camera on the eye in the sky helicopter... you can buy a drone with a 4K camera on it and do your own aerial video cheaper than a lot of cell phones. Some of them you can even control with your cell phone. Scary to think what a broadcast quality 4K camera might cost... not to mention all of the related equipment that goes with it. TV itself seems to be showing signs of extinction... youboob and cell phones that fit in your hand made in third world countries by companies with their headquarters on some obscure island and cost as much or more than the huge old console color TV's with their massive picture tubes. Most of the cost going to going to a choice few at the top. It appears that I have gotten a bit off track as seems to be norm for getting old and for most ventures onto the net. Our form of government seems to be getting pretty old too... old geezers with lots of makeup... still arguing about immigration and doing nothing but spending money and lives in far away places with no end in sight. But the year 2020 is just over the hill... it has a bit of a science fiction ring to it the year 2020. I distinctly remember pondering how old we would be in the year 2000 long ago on the playground during recess at Startex Elementary. I'm a bit surprised I've made it this far but with a little luck I still be here bitching about something. On the way back from Daytona I saw the signs for Branchville near where 95 and 26 intersect. 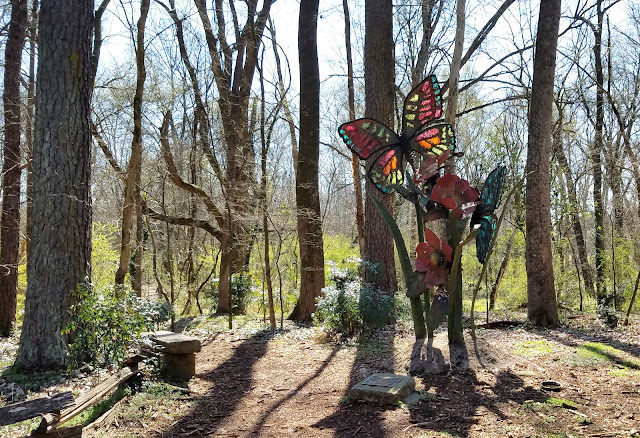 Branchville was the home of the Swamp Man whom I learned to blow glass from at his place there in the swamp on the banks of the Edisto River. Branchville I think is the location of the first train crossing in the state... from which its name came. The Edisto River is the longest black water river in the world... probably in part because its meanders and doubles back on itself so much there in the flatlands. 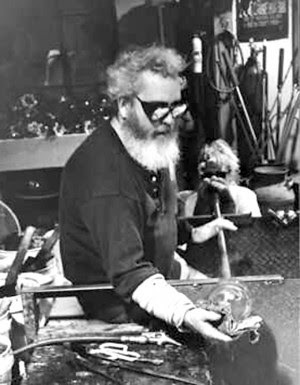 It was about 2000 when I found him online while looking for information about torch working glass. Thats where you make pieces using pyrex glass by heating it in a special torch. 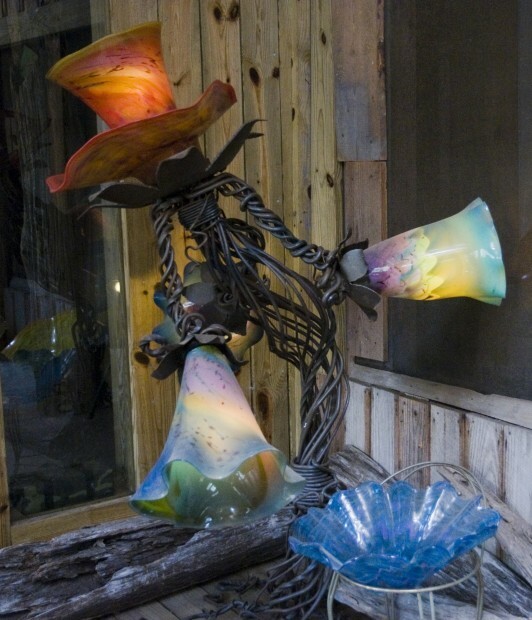 The Swamp Man had a furnace with a crucible inside full of molten glass... you dip a stainless steel blowpipe into it to "gather" molten glass on the end of it... then you add color... more glass.. and more heat... in the "glory hole" before blowing it into something cool. A few years ago I was going to go back to visit and googled the swamp man only to find he had died a few years before that. All that to say this... I decided to stop by and see what if anything was left of his place in the swamp. Although it had been 17 years since my last visit and about 6 years since he had passed... I was able to find it. There was a German lady there that owned it now and she let me look around the glass studio.... although they had stored some furniture and other stuff in there... it was pretty much as he had left it.... blowpipes in their holder... a bag of Spruce Pine Batch ready to go in the furnace... jars of color on the shelf. The annealing ovens ready for new pieces... spare burner parts... you have to burn a lot of propane to blow glass.